Lucy races against time and magic in this “compelling sequel” (Booklist) to the “richly and thoughtfully written” (Publishers Weekly) Chantress. 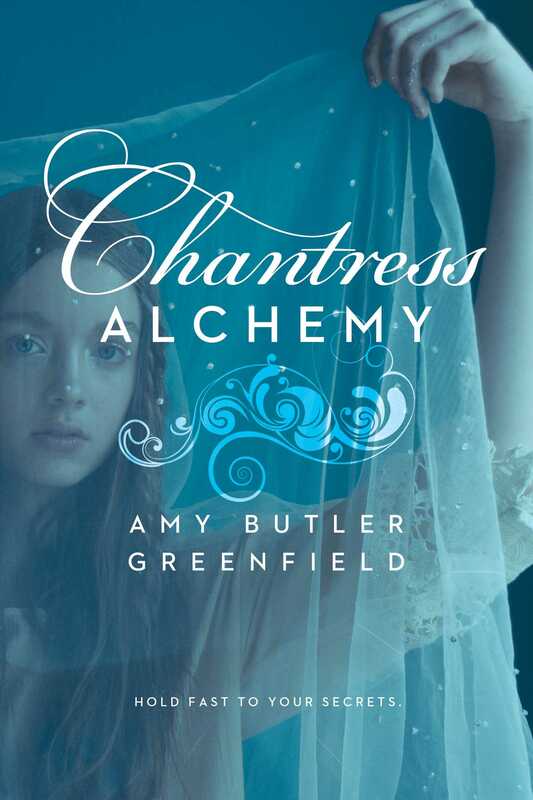 Amy Butler Greenfield returns to the volatile world of Chantress for an exciting tale that weaves together courtly intrigue, mystery, romance, magic, and music. One more spell, that’s all I meant to sing. One more song-spell, and then I’d go home. I blew on my icy fingers and faced the wintery sea. I’d been out for hours, honing my magic, and the sun had long since vanished behind sullen clouds. My boots were damp from the froth of the ocean, my cheeks wet with its salty spray. The wind sawed along my very bones. I thought with longing of the snug cottage I shared with Norrie and the soup that would no doubt be simmering on the fire. Something easy to finish on, I promised myself. Something that won’t go wrong. 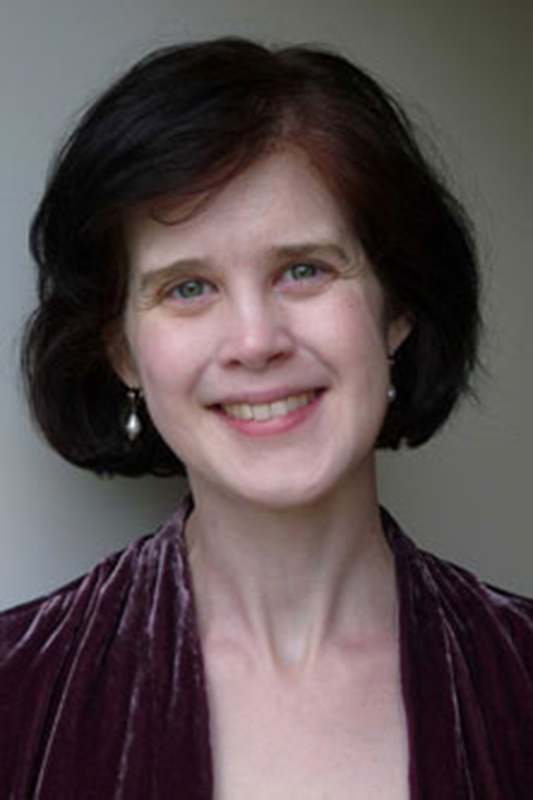 Clutching my woolen cape, I tilted my ear toward the ocean and its tangle of watery music. A simple song-spell, that’s all I needed. . . . But what was that sound? That distant humming? Forgetting my frozen hands and feet, I listened, perplexed. No one knew better than I that the ocean could sing a thousand songs: music to cradle me, music to drown me, music to call up waves and tides and storms. I was a Chantress, after all. Yet this wasn’t a tune I had heard before. Indeed, its faint thrum was quite unlike any melody I knew. That alone was disturbing. A woolen bundle clumped toward me: Norrie in her winter wraps. The wind snatched at her hood and cap, and her silver hair stood out like dandelion fluff around her wrinkled face. I was about to reply when I heard it again: a disquieting drone in the midst of the sea’s other songs. “Yes,” I said quickly. “Of course I am.” But I was listening to the humming, too. If I concentrated hard enough, I usually could make out at least the gist of the sea’s songs. Of all elements, water was the easiest for me to understand. Yet these notes held fast to their secrets. “Maybe not, but what else can I do when you won’t come home?” Norrie said. The elusive drone was fading now. I swung back toward the sea, trying to catch its last echoes. Nine months ago, I had freed England from a terrible enchantment, and as a reward King Henry the Ninth had offered me any gift in his possession. To my alarm, he’d talked of building me a palace. What I’d asked for instead was a secret refuge by the sea. The King, bless him, had abandoned his palace scheme. Norrie and I now lived on a remote part of his estates in Norfolk, in a cottage just big enough for two. Almost no one in the kingdom knew where we were, and the King made sure we were left alone. Although his gamekeepers patrolled the outer limits of the estate, we never saw them. Every month we had supplies of food and fuel delivered to us, and occasionally the King’s messenger came by. But that was all. “But you already know so much,” Norrie protested. “You knew enough to put an end to Scargrave and those horrible Shadowgrims,” Norrie countered. “At a cost. Don’t you remember how bad it was when we came here? I had nothing. Not one single song.” My hand went to my heart, where a bloodred stone nestled underneath my woolen scarves. The stone had once allowed me to work the safe song-spells of Proven Magic, but in battling against Scargrave and the Shadowgrims I had shattered its powers. Now the only enchantments open to me were the dangerous ones of Wild Magic. A fraught path—and I had no one to teach me the way. Among Chantresses, Wild Magic was almost a lost art. Even before Scargrave had worked to destroy my kind, very few could have instructed me in it. Now there was no one. I was the only Chantress still living. To guide me, I had only a letter my mother had written before her death years ago. Although it was replete with wise advice, it was not nearly as long or as detailed as I needed. Most of the time, I had to rely on my own instincts. How could I explain matters more clearly? My magic made Norrie nervous, so we rarely talked about it, but I could see I’d have to spell things out now. My cape snapped in the wind, and I stopped. It was true: King Henry had sworn that the old days of Chantress-hunting were over. Nevertheless, I lived in terror that those days would begin again—and that I would not be ready. Night after night I dreamed hunters were coming after me, only to wake up alone in the dark loft, heart shuddering. I was pushing myself too hard, that’s what Norrie would say. But she was wrong. My nightmares didn’t come from working too hard, but from the terrible truth of my situation. The Chantress line is almost dead. We are hunted; we are prey. So my godmother Lady Helaine had warned me before her own untimely end. To be a Chantress was to face enemies, for the world feared women with power. I’m not cold, I wanted to say. But it wasn’t true. And Norrie’s lips were pinched as if she were in pain. She’s been out here too long, I thought with concern. Her back and hips had been bothering her lately, especially on cold, damp days like this one. We had only just started trudging up the shore when a sharp gust of wind swirled around us. It blew my hood back, and I heard the ocean humming again in its troubling new way. Had it been quiet all this time? Or had I just been too wrapped up in my wrangle with Norrie to hear it? Hoping she wouldn’t notice, I trained my attention on the drone, trying to understand it. With patience, I could usually unravel the basic meaning of a song, even if I couldn’t fathom all its subtleties. This time, though, the tune wouldn’t yield. More, I pleaded. The word slipped into my head as if the song itself had placed it there. I felt my unease grow. Before she could object, I ran up the steep bank that rose directly behind us. Reaching the crest, I looked up and down the coast, then out to the watery horizon. I saw no warships, no fishing boats, no vessels of any kind. Nothing met my eye but the endless wind-churned waves of the sea. I turned my head in the other direction, to the rolling hills that sheltered our cottage, and the stretch of the King’s wood beyond them. All was well. And then, out by the wood, something moved. A deer? No. A rider. And more behind him. I sank behind the bluff’s waving grasses and watched them emerge from the wood, one after the other. Half a regiment of mounted men, clad in armor and bearing spears. Armed men, coming here in such great company? Holding my breath, I shielded my eyes with a rigid hand as I looked out. They were riding straight for our cottage, the tips of their spears sharp against the gray sky. Danger, the sea had said. Was this what it meant? "Alchemy, feminism and two separate wicked plotters...keep the pages turning." "An overall compelling sequel, with plenty of red herrings to keep readers guessing and wondering what’s next in store for the last lady chantress." "Readers who prefer action with a touch of fantasy and strong female characters will enjoy this book."